(Trent Nelson | The Salt Lake Tribune) Sticky Fingers at the revamped Wingers Restaurant & Alehouse in Murray. (Trent Nelson | The Salt Lake Tribune) Chefs Shawn Bucher and Brandon Howard at the revamped Wingers Restaurant & Alehouse ... (Trent Nelson | The Salt Lake Tribune) Beer is poured at the revamped Wingers Restaurant & Alehouse in Murray. (Trent Nelson | The Salt Lake Tribune) The expanded beer selection on tap at the revamped Wingers Restaurant & Alehouse in M... (Trent Nelson | The Salt Lake Tribune) Eric Slaymaker, Chefs Brandon Howard and Shawn Bucher, and Scott Slaymaker at the rev... (Trent Nelson | The Salt Lake Tribune) The Fowl Cow Burger at the revamped Wingers Restaurant and Alehouse in Murray. (Trent Nelson | The Salt Lake Tribune) Chef Shawn Bucher at the revamped Wingers Restaurant and Alehouse in Murray. (Trent Nelson | The Salt Lake Tribune) The Sticky Finger Salad at the revamped Wingers Restaurant and Alehouse in Murray. 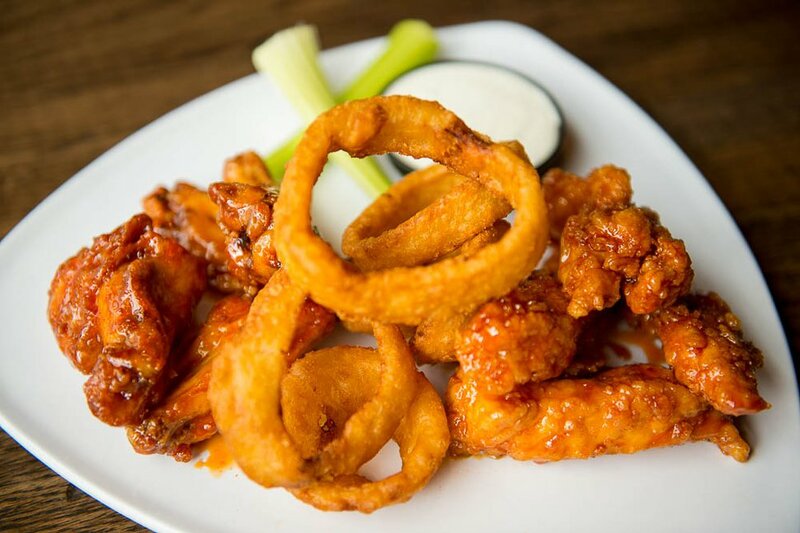 (Trent Nelson | The Salt Lake Tribune) Wings & Things at the revamped Wingers Restaurant and Alehouse in Murray. (Trent Nelson | The Salt Lake Tribune) Sticky Fingers at the revamped Wingers Restaurant & Alehouse in Murray. 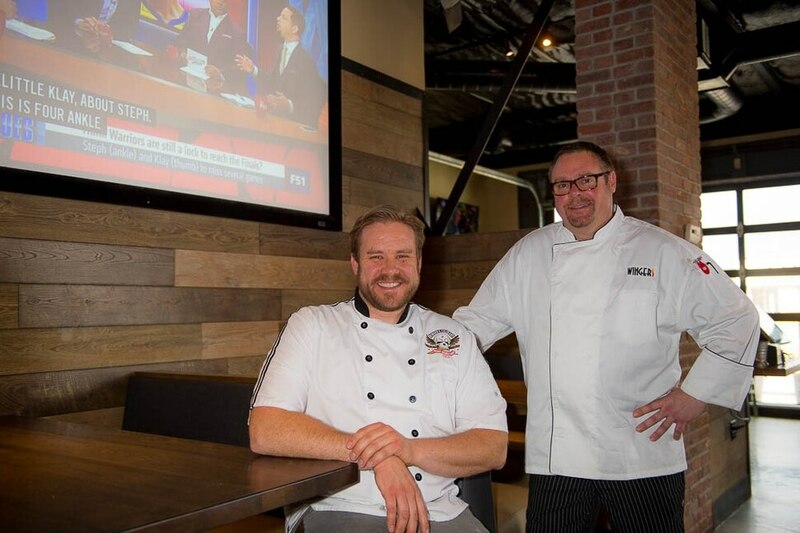 (Trent Nelson | The Salt Lake Tribune) Chefs Shawn Bucher and Brandon Howard at the revamped Wingers Restaurant & Alehouse in Murray. (Trent Nelson | The Salt Lake Tribune) Beer is poured at the revamped Wingers Restaurant & Alehouse in Murray. (Trent Nelson | The Salt Lake Tribune) The expanded beer selection on tap at the revamped Wingers Restaurant & Alehouse in Murray. 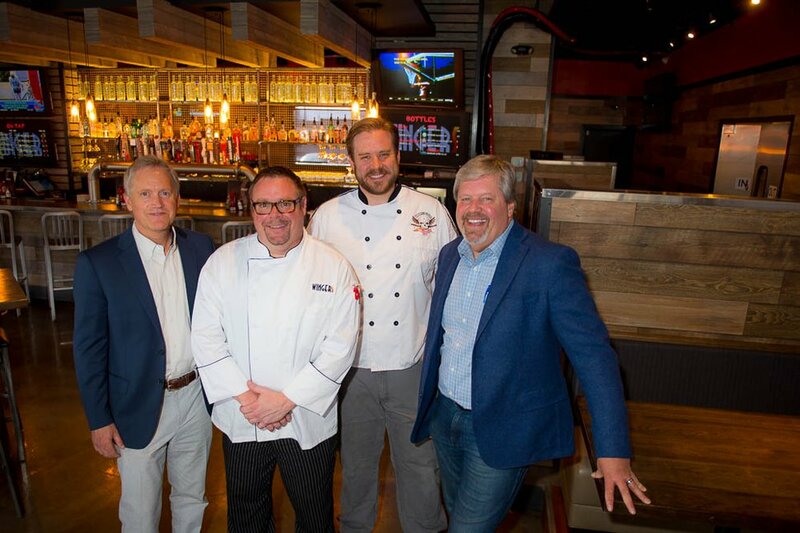 (Trent Nelson | The Salt Lake Tribune) Eric Slaymaker, Chefs Brandon Howard and Shawn Bucher, and Scott Slaymaker at the revamped Wingers Restaurant & Alehouse in Murray. 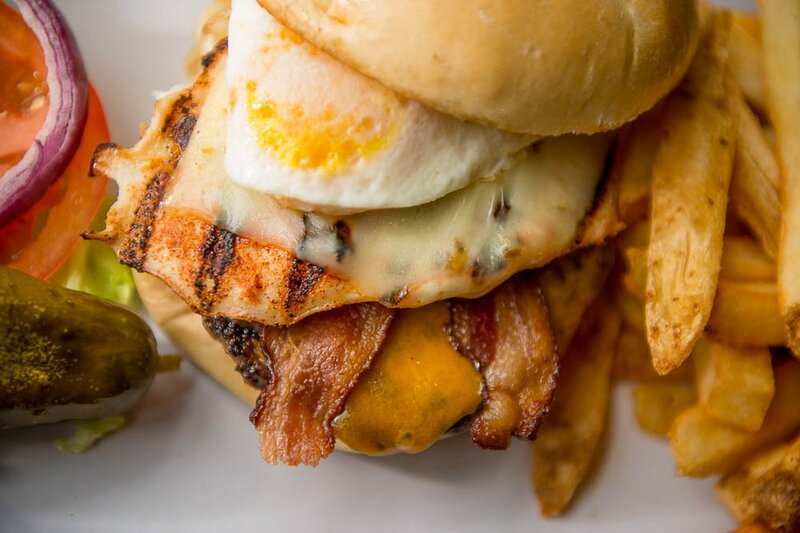 (Trent Nelson | The Salt Lake Tribune) The Fowl Cow Burger at the revamped Wingers Restaurant and Alehouse in Murray. (Trent Nelson | The Salt Lake Tribune) Chef Shawn Bucher at the revamped Wingers Restaurant and Alehouse in Murray. (Trent Nelson | The Salt Lake Tribune) The Sticky Finger Salad at the revamped Wingers Restaurant and Alehouse in Murray. (Trent Nelson | The Salt Lake Tribune) Wings & Things at the revamped Wingers Restaurant and Alehouse in Murray. Murray • After nearly a quarter-century in business, it was time for Wingers restaurants, known for chicken wings, sticky fingers and — as the television ads say — “freakin’ amazing sauce,” to reboot. The Utah-based company is now moving toward a new concept — Wingers Restaurant and Alehouse. The revamped restaurants have a modern sports-bar feel, where customers will find fresher food, an expanded beer selection and high-definition televisions for watching games. The frozen chicken wings have been replaced by fresh chicken pieces breaded in house; the diner-inspired interior has been refreshed with metal and wood accents; and the 7-foot-high barriers — aka Zion Curtains — that were required by state law to shield the mixing and pouring of drinks from minors were removed, creating a more modern, open atmosphere. Founder Eric Slaymaker and his co-owner and brother, Scott Slaymaker, have made other significant changes. They recently have taken back a few poorly run restaurants from franchise operators and, when it made financial sense, closed older and smaller stores when leases expired — including the first Wingers, which opened in 1993 in Bountiful. The company did a trial run of the alehouse concept about two years ago in Boise. They updated the building and the menu, changed the logo and added 40 craft beers on tap. Since then, two more restaurants in Idaho and three in Utah (Murray, Brigham City and Logan) have been remodeled to fit the alehouse concept. Another remodel is underway at the West Valley City restaurant. The company plans to move store-by-store until “most all” of the Wingers have changed to the new concept, Slaymaker said. (Trent Nelson | The Salt Lake Tribune) Eric Slaymaker, from left, chefs Brandon Howard and Shawn Bucher, and Scott Slaymaker are pictured at the Wingers in Murray. Later, the elder Slaymaker operated a dozen Tony Roma’s restaurants in Utah and Arizona and seven TGI Fridays in Utah and Idaho. After their father died in 1995, the brothers continued to operate the restaurants for several years, but ultimately diversified from Tony Roma’s in the early 2000s, said Slaymaker. The company still operates TGI Fridays in West Valley City and Nampa, Idaho. 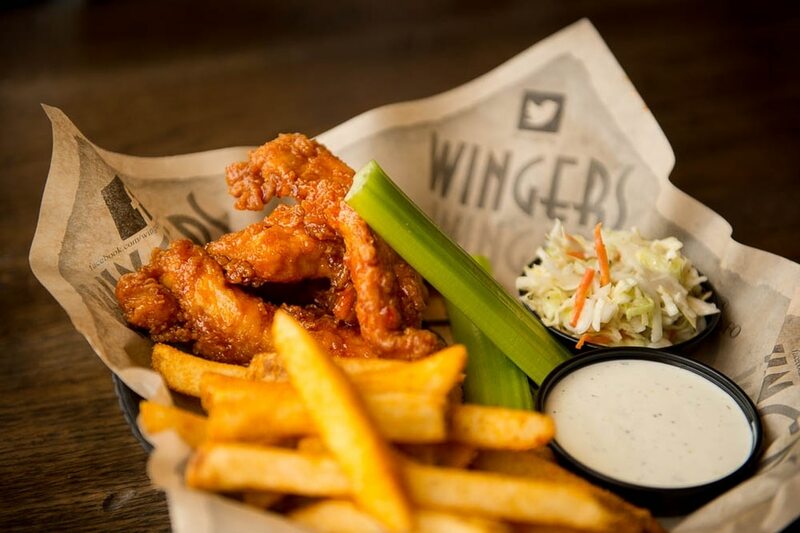 Over the past decade, their efforts have been focused on building the Wingers brand, which includes 25 restaurants in Utah, Idaho, Oregon and Nevada, a mix of company-owned stores and franchises. (Trent Nelson | The Salt Lake Tribune) Wings & Things at Wingers in Murray. Food and beer • While Wingers has always served beer, the new alehouses offer a larger selection of brews. 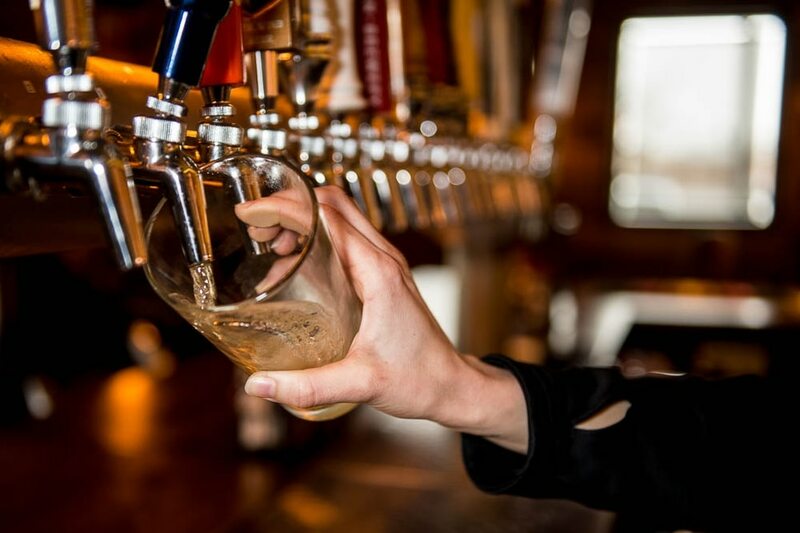 In Utah, there are about 20 beers on tap, all 4 percent alcohol by volume (3.2 percent by weight), the maximum alcohol content allowed on tap under state law. But 20 higher-alcohol beers are available in bottles, many from Utah brewers. The alehouse remodels came at a good time, as Wingers was able to follow a new Utah law that allows the quirky Zion Curtains to be replaced with a 10-foot buffer around the bar where those 21 and younger are prohibited. He said Wingers’ core customers have always been families who like the casual atmosphere and affordable prices, and men “who love wings.” But the recent changes have attracted more in the 25-40 age group who might not have been customers before. The focus on craft beer is part of the draw, said Slaymaker, especially in Idaho, where the restaurants can have all beer on tap. “But we’ve also been proactive on our culinary side,” he said. “We’ve been developing a fresh aspect to our food and don’t really bring in anything that’s frozen anymore,” he said. The only exception is the fries. Wingers Restaurants hired three experienced chefs to make the culinary transition: Dave Prows, a former chef at Gastronomy, Oakridge Country Club, Little America and Costa Vida; Shawn Bucher, a Utah cookbook author and culinary instructor; and Brandon Howard, a former chef at Gastronomy, La Caille and Snowbird. Wingers kept about 70 percent of its core menu for the alehouse, but added items — like beer-battered asparagus, Southwest bruschetta and salmon — all made with fresh ingredients. (Trent Nelson | The Salt Lake Tribune) The Fowl Cow Burger at Wingers in Murray. There are more soup and salad options as well as hamburgers, including the unique Fowl Cow Burger, a beef patty topped with a chicken breast, cheese, bacon and an over-easy egg. “Keeping a concept fresh,” said Melva Sine, president of the Utah Restaurant Association, is a lesson that many business owners need to be constantly thinking about.